Speaker 2018 - CATIE WYMAN NORRIS, C.N.C., N.D.
CATIE WYMAN NORRIS, C.N.C., N.D.
CATIE WYMAN NORRIS, C.N.C., N.D. is a Best-Selling Author and highly respected researcher and formulator of university and hospital-studied high vibrational plant superfood supplements to support rejuvenative, regenerative and overall daily body balance and healing processes. Known as the Nutrition Guru to the Stars, Catie is the host of the online show The Cures in the Kitchen. She speaks on the College Holistic Health Education Circuit and has been featured in many publications including The L.A. Times, People, Us, Harper’s Bazaar, Men’s Health, and Best Selling books that have sold for over $300 Million; and on TV: Fox News, CNN, Good Morning AZ, and Good Day LA. Born in Omaha, Nebraska to a poor family, Catie suffered from a rare genetic blood disease, overall malnutrition and severe Lyme Disease. It was the blessings of these challenges that shaped her desire to seek natural healing remedies through plants, pursue a healthy lifestyle, and develop her never-give-up spirit. 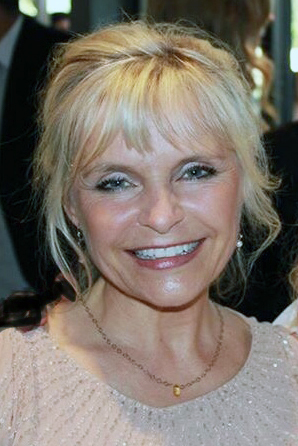 Catie graduated with a Bachelor of Science degree from the University of Nebraska, Omaha and Trinity College, is a Certified Nutritional Consultant and has completed a Doctorate in Natural Medicine. She specializes in the study of healing and renewal through plants and herbs and continues to share her research in Functional and Integrative Medicine through her podcasts, newsletters, social media, websites, blogs, webinars, online summits and special health updates on National TV and Radio. Her research and work was greatly inspired early on by her late mentors, Dr. Norman Cousins and two-time Nobel Prize-winner Dr. Linus Pauling at the USC Norris Cancer Center. On Facebook (www.facebook.com/CatiesOrganics/?ref=bookmarks) or at (818) 575-7558.